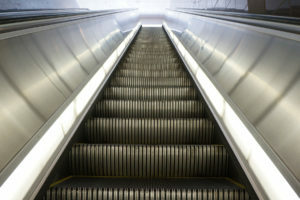 The goal of this article is to review Bitcoin’s growth as a whole, and discuss key events that happened in each month, and attempt to predict what we can expect 2015 to be like using 2013 and 2014 as years of comparison. This article will be broken down into months covering January- part of December. Bitcoin’s market will be explained simply rather than thoroughly analyzed. I hope you enjoy this article as we review this action-packed year for Bitcoin and look into what the future might yield. disclaimer: The author is fully invested in Bitcoin. Before jumping into 2014, we will establish some key facts which will be revisited at the conclusion of the article, these statistics will be very important for calculating Bitcoin’s growth over 2014 from 2013 and be used for making possible predictions for the growth we might see in 2015.
note: calculating the total amount of Bitcoin wallets is very difficult, this count includes dormant wallets that have not been touched over long periods of time. 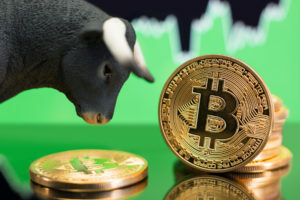 At the time of the announcement, Overstock converted all BTC transactions to Fiat currency but has since started holding some of the Bitcoin from transactions. 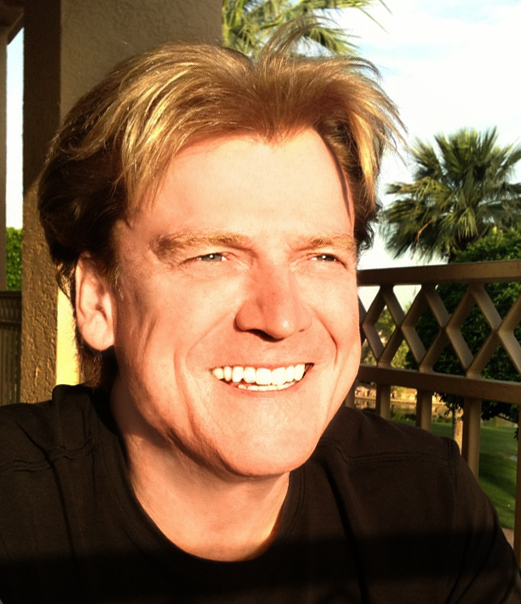 Overstock’s decision to accept Bitcoin lead to other large companies joining the revolution as well. More Bitcoins were forfeited from the Silk Road server, increasing the total stash’s value to over $130 million at the time. “These bitcoins were forfeited not because they are bitcoins, but because they were as the court found, the proceeds of crimes,” US Attorney Preet Bahara told the press. Vice chairman of the Bitcoin foundation, Charlie Shrem, was arrested for conspiracy to commit money laundering and “knowingly contributing” to anonymous drug sales. The charges accuse Shrem and an accomplice of “engaging in a scheme to sell over $1m in bitcoins to users of Silk Road”. The Bitcoin Foundation distanced themselves from Shrem though their reputation was not tarnished. Following the arrest, Shrem resigned from the Bitcoin foundation. In addition to Overstock, Tigerdirect partnered with Bitpay to accept Bitcoin payments. This partnership marked two major retailers accepting Bitcoin and helped further foster the liquidity of Bitcoin. Market: Peaking at $848 during the month, Bitcoin’s price settled at $563 by the end of the month. Mt. Gox was the reason for the downturn that spilled over into the coming months. 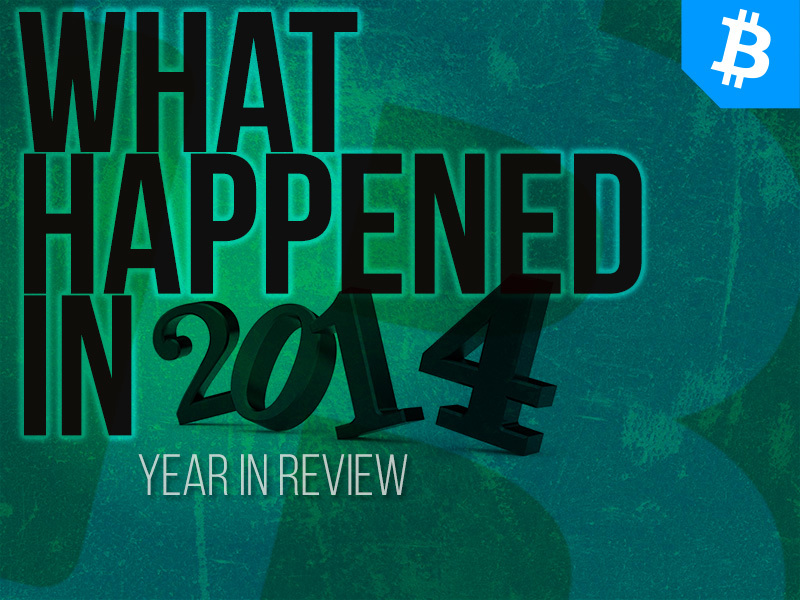 Major events: February was by far the most turbulent month of 2014 for Bitcoin. After the collapse of Mt.Gox and the loss of an estimated 744,000 Bitcoins valued at $400 million, Bitcoin’s future was heavily debated. Many people believed that the collapse of Gox would be the end of Bitcoin and cryptocurrencies in general. 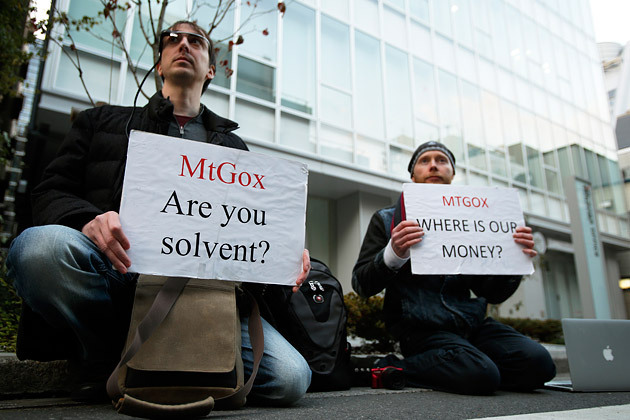 While Bitcoin continued on, the effects of Mt.Gox are still felt today. Gox continues to serve as a strong reminder for Bitcoin users to responsibly store their money and not put as much trust in third parties. Bitcoin gives individuals control of their money, and, unfortunately, things like Mt.Gox can happen. Though the result was catastrophic for many people, Bitcoin’s technology cannot be un-invented and persists through the decentralized network. Mt.Gox defined the need for top notch security and the weeding out of ‘bad actors’ within Bitcoin. Prior to the complete collapse of Mt. 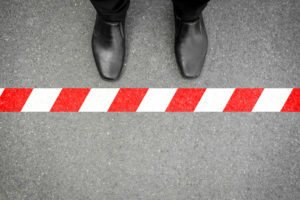 Gox, the exchange had been experiencing problems with transaction malleability due to programmer error at the exchange. As it turns out, this was not the only issue faced by Mt.Gox and poor management and programming eventually led to the collapse of the former Magic the Gathering Online exchange. Market: Peaking at $690 during the month, Bitcoin’s price settled at $448 by the end of the month. The Price continued to drop as the wake of Mt Gox continued. Major events: Flexcoin, the Canada-based Bitcoin bank, closed after losing $600,000 in a hacker attack. An attacker stole the entire contents of their hot wallet which contained over 800 Bitcoins. Flexcoin branded itself as the first Bitcoin bank, allowing users to send funds to one another instantly and without transaction fees. This theft followed Mt Gox. Bitcoin 2.0 became closer to becoming a reality. Companies like Ripple Labs and Bitshares realized that there is great potential to expand the Blockchain beyond just storing transactions. People began to realize that this technology could change the way e-commerce and m-commerce are done, as well as how people deal with one another. These companies began developing their technology that could be used for voting pools, creation of contracts, coins, etc. The potential of Bitcoin 2.0 was fully realized. The IRS ruled Bitcoin as property rather than currency; this move outraged many people. The IRS will treat Bitcoin in the same way it does stocks and barter transactions. By declaring Bitcoin as property, Bitcoin investors faced new liabilities that they didn’t have to worry about before. The full effects of this ruling will be felt this tax season. Newsweek infamously confronted Dorian S. Nakamoto and wrote an article that accused him of being the creator of Bitcoin and disclosed where he lived, putting him and his family at risk. 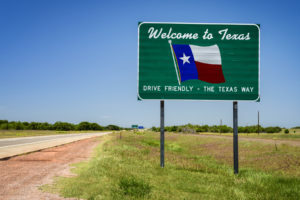 His name has sense been cleared, and many members of the Bitcoin community reached out to help him out as he tried to recover from the stress of the events. Major events: This was the month of rumors. After China had declared that Bitcoin was not a currency, rumors emerged that China’s Central Bank would tell banks to stop dealing with Bitcoin exchanges, resulting in a large market crash. 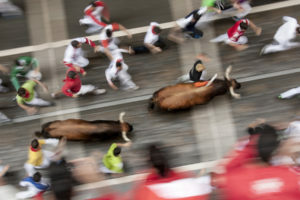 At the time, China controlled over 50% of the market, and the rumors caused widespread panic and further price drops. Bloomberg decided to add Bitcoin to their website and allow people to view market information and price. This move added some credibility for Bitcoin in the eyes of the public. Market: Peaking at $629 during the month, Bitcoin’s price settled at $629 by the end of the month. Major events: The PBOC refuted rumors that they were going to instruct banks to quit dealing with Bitcoin exchanges. Though this helped, the rumors continued to spread and cause fear in investors. It was discovered that two trading bots, Willy, and Markus, pushed prices up to $1,000 before the bubble burst after Mt. Gox’s collapse in February. These bots operated on the exchange prior to the collapse and contributed to the sharp market drops. 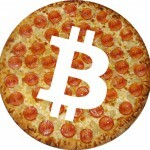 Bitcoin celebrated another Bitcoin pizza day. The first transaction with Bitcoin in exchange for goods was believed to have been made by a Florida man named Laszlo Hanyecz, who spend 10,000 for two large pizzas from Papa Johns. Today, those two pizzas are worth about 5 million dollars. 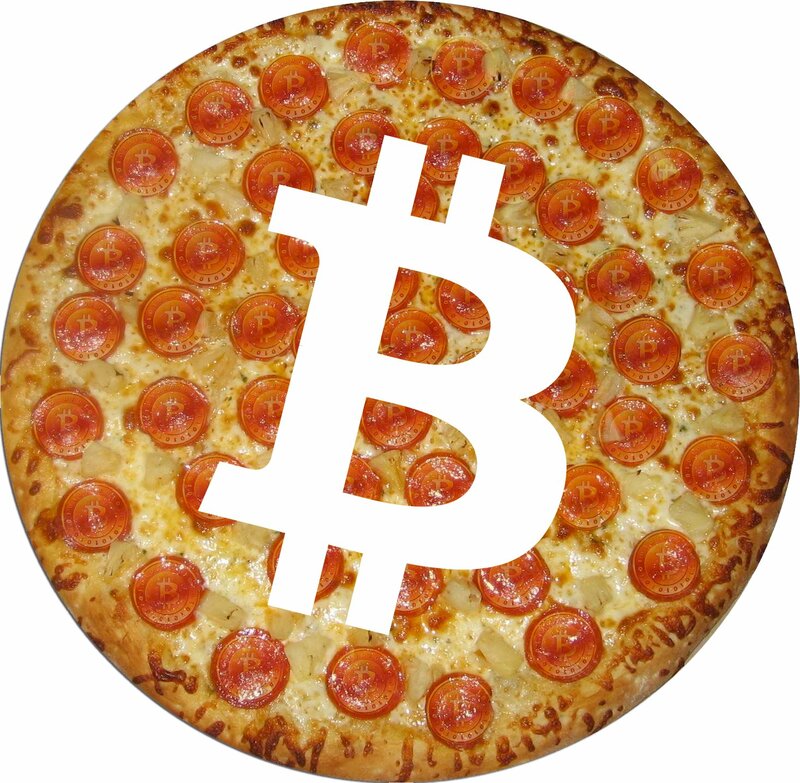 Bitcoiners all over the world celebrated (including me) by ordering pizzas with Bitcoins. Market: Peaking at $665 during the month, Bitcoin’s price settled at $635 by the end of the month. Major events: Expedia announced that they would accept Bitcoin payments. This event was welcomed by the Bitcoin community which had experienced a very turbulent past few months. Canada signed their first bill regulating Bitcoin. 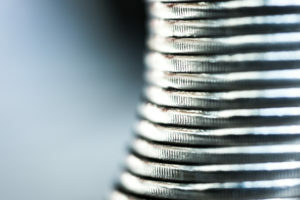 Discreetly named (“Bill C-31”), this regulation prevents exchanges from banking if they are unregistered, as well as works to combat other money laundering techniques. Google Finance launched a Bitcoin price tracker. US Marshalls auctioned 30,000 Bitcoins to Tim Draper, a venture capitalist. June was relatively free of any negative events. Market: Peaking at $650 during the month, Bitcoin’s price settled at $584 by the end of the month. Major events: Newegg announced that they would be accepting Bitcoin. Newegg joins many other retailers that accept Bitcoin. New Ransomware was deployed by hackers in an attempt to steal Bitcoins from known Bitcoin users. Market: Peaking at $584 during the month, Bitcoin’s price settled at $474 by the end of the month. Major events: A hacker was able to take roughly $83,000 worth of Bitcoin by hacking into ISPs over the course of 4 months. This kind of attack will be hard to do in the future. The Consumer Protection Agency issued a warning about Bitcoin and the use of virtual currencies. This report damaged Bitcoin and caused some of the market drops. Market: Peaking at $480 during the month, Bitcoin’s price settled at $381 by the end of the month. Major events: Paypal and Braintree announced that they would begin to integrate Bitcoin into Paypal. The companies started working on ways to integrate the digital currency into payment processing platforms and aim to make it easier for merchants to accept Bitcoin payments. 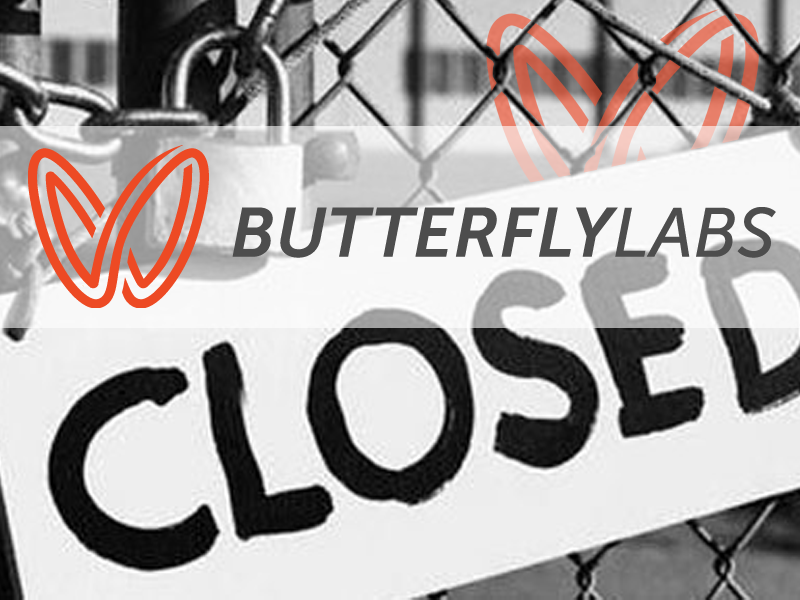 Bitcoin mining company Butterfly labs was shut down by the FTC for scamming customers and failing to deliver promised hardware on time or even delivering it at all. Many customers did not receive their hardware and many other received hardware that was poorly made and did not meet the promised specifications. Market: Peaking at $440 during the month, Bitcoin’s price settled at $330 by the end of the month. Major events: Bitcoin’s price experienced very low lows this month. 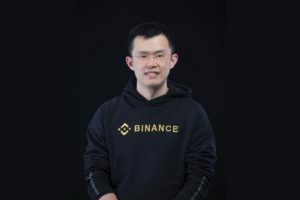 As price started dropping, people continued to panic sell resulting in a final price of $330 by the end of the month. Short term wise, the price drops were from speculative trading, though this trend did not explain long term decline. Bill Gates, in an interview with Bloomberg, stated that Bitcoin was “Better than currency” and. “Bitcoin is better than currency in that you don’t have to be physically in the same place and, of course, for large transactions, currency can get pretty inconvenient.” Having been relatively quiet before, this was Bill Gate’s first big interview on his thoughts on Bitcoin. Market: Peaking at $453 during the month, Bitcoin’s price settled at $379 of the month. Major events: A man embedded NFC chips into his hands that to store condensed Bitcoin private keys. This is the first Bitcoin related implant ever performed. The two chips have the memory equivalent of 888 Bytes or 26 condensed private keys. Tim Draper planned to bid once again in the December auctions. Draper has used the Bitcoins to make investments in start-up companies dealing in Bitcoin. Bitcoin Black Friday was a huge success and resulted in record sales for Bitcoin purchases. Market: Bitcoin’s price is $375 at the time of writing. 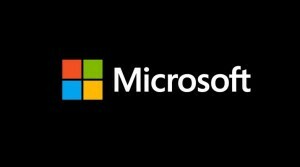 Major events: Microsoft now accepts Bitcoin for digital content and games. 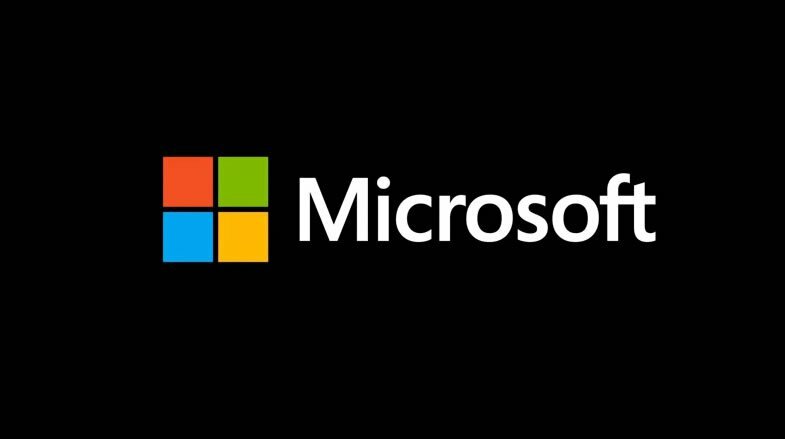 Microsoft is the world’s second largest company and is the largest company to accept Bitcoin. Microsoft has partnered with BitPay to make this possible. In the future, it will be likely that customers will be able to pay for other goods and services with Bitcoin other than just games and digital content. Mining is shifting more towards cloud mining contracts from physical hardware. Many companies in 2014 failed to deliver hardware on time, causing profits for miners to decrease daily. In the end, these companies were shipping out poor quality hardware just to get them to customers, resulting in impossible ROI’s and poor customer relations. Many cloud mining companies have been built this year that offer mining contracts for any budget. While some of these have turned out to be scams, many have been beneficial to customers, allowing anyone to get into cryptocurrency mining. As always, be careful with any investment and always do your research before investing. The number of hosted wallets is increasing more rapidly than the number of desktop wallets, this is due to the 5-9 day download time and massive bandwidth that downloading the Bitcoin blockchain requires. Transactions are increasing month by month while volume is still down. As price is lower, people will be less likely to spend their Bitcoin and instead exhibit hoarding behavior. In a recent report by Blockchain.info, 70% of all Bitcoins have been stagnant for months now. Bitcoin 2.0 technology is close to being ready for launch; many developers are working on integrating cutting edge platforms with marvelous capabilities very shortly, we should see some start to come up in 2015. Note: this data is created using trends from previous years. This data does not account for any good or bad news that will happen in 2015 and is by no means 100% accurate. Difficulty is perhaps one of the most difficult things to predict, there are many factors that will influence difficulty and I cannot predict where the difficulty will be at the end of next year, there are too many factors at play. Hash rate is calculated with previous trends. Mining technology could exponentially increase at any time, resulting in a massive shift in both difficulty and hash rate which are not accounted for in this calculation. This calculation assumes a steady linear rate of growth. With Bitcoin’s massive growth in 2014 compared to 2013, we can expect great things in 2015. While I do not speculate on price in 2015, once the auction of all of the Silk Road Bitcoins has completed, large investors will once again need to purchase Bitcoins on the open market, thus reducing the high sell pressure we are currently experiencing. Daily transaction volume is closely related to Bitcoin’s price, and while volume is down in 2014 from 2013, the number of daily transactions has increased significantly, meaning more people are getting into Bitcoin. Because of the high divisibility, Bitcoin can be used for micro-transactions. This is how transactions have gone up while volume has gone down. Bitcoin 2.0 technology will likely speed up mainstream adoption once it has been integrated, leading the way for new decentralized P2P platforms. The mining arms race continues to unfold as companies continue to improve ASIC design and create better, cheaper miners. With finFET 3d printing technology, manufacturers will be able to provide 16nm chips that exponentially outperform 20nm chips in terms of computational power and electrical efficiency. 2014 has been a significant year in terms of Bitcoin’s growth. 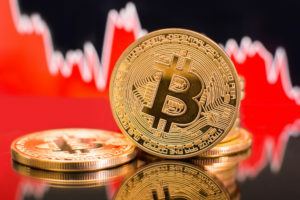 While there have been many negative events which have caused significant price drops, the adoption rate and usage of the technology continues to increase drastically. Bitcoin’s core technology will lead the way for new applications that do things not possible without it. Thank you for reading this article. I hope you have enjoyed the 2014 Bitcoin Year in Review. While there have been many negative events, there have also been several great ones. Bitcoin continues to grow and influence the world. The revolutionary technology changes the way money can be used and empowers individuals to be in control of their own money. I wish you all a wonderful holiday season and look forward to all of the adventures to be had in 2015 as we continue to embrace this growing movement. Let us know how you saw Bitcoin and Cryptocurrencies doing in 2014 and where you think they will go in 2015.